Let’s be honest: not all of us are exactly the size and shape that we would like to be. In fact, every single person has something about them that they would change, if they could. This is always truest when an important occasion comes up, and you realise that almost every single moment is going to be photographed. Your self-confidence could not be very high to begin with, and the thought of all those lumps and bumps being captured forever in a photograph can be very upsetting. Many people spend the entirety of a wedding or a photo shoot worrying about which angle the camera is going to find on them. Body retouching and reshaping can therefore be a very sensitive issue. No one wants to admit that they are not happy with the way that their body looks, and it can be very difficult to talk to someone about it that isn’t a close friend or family. After all, a person’s weight is a very private matter. However, we want to ensure that you can feel happy and confident during those precious moments, not obsessing over how the photographs are going to turn out. That is why we offer you a solution: body retouching and reshaping. The photos look a million times better and you obviously take a lot of time to do the job perfectly, you are so talented! I will be telling everyone about how outstanding you are at RetouchGem, you blow the competition away! 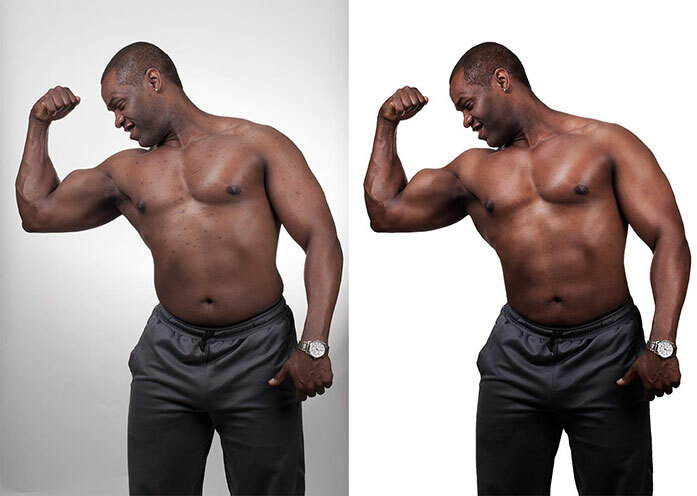 Here at RetouchGem, we can minutely alter parts of your photographs to make you look a little taller or a little skinnier or muscular. We can enlarge or reduce breasts, depending on what you are comfortable with. We can accentuate a waist, bring in a six-pack, and even elongate legs. Our results look amazing, completely realistic, and like the photograph have not been touched. We keep your privacy absolutely, and we never use your images without your permission or outsource them to any third parties. Reclaim those precious moments, and trust us to show you off at your best through our body retouching and reshaping process. How to get the perfect body in 24 hours? Our skilled team delicately helps you look slimmer; makes your legs longer and your waist look smaller. 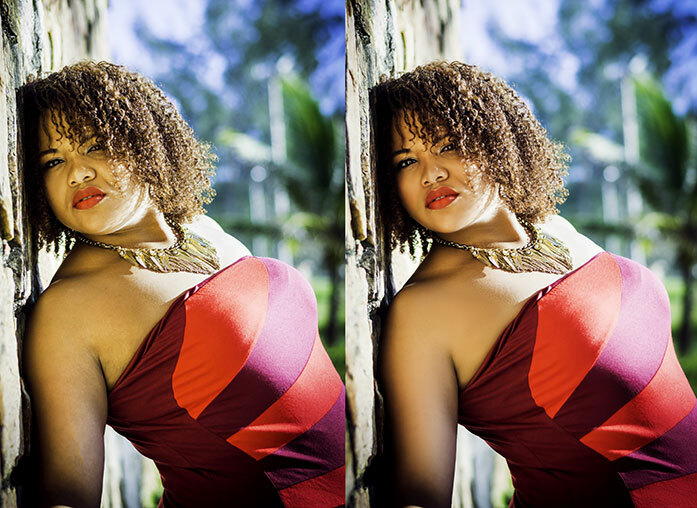 Try our professional body retouching service today: all you have to do is submit your photos and requirements. We’ll do the rest. I’m sending you a photo of my boyfriend. He mentioned once how it would look like if he would show up on a magazine cover, with Photoshop expert that would take the maximum of him. So, I decided to give him that for his birthday (with your help). I took this photo of him in Jordan and I would like you to enhance his body figure (biceps, triceps, 6-pack, torso, chests, waist …) to a significant extent. The photo looks great. You have done an amazing job – my bf didn’t even realize its retouched but commented how I took an excellent photo of him!